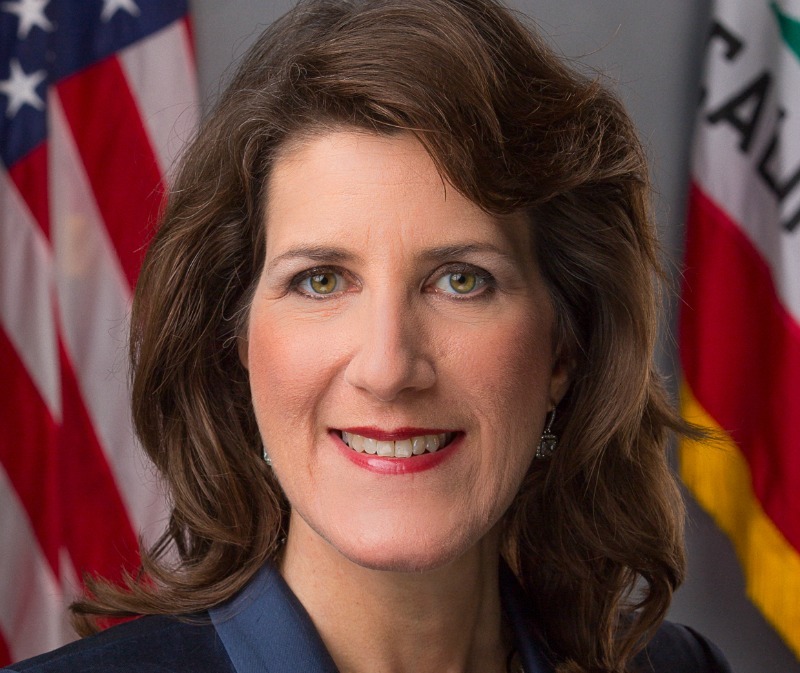 To get Governor Jerry Brown‘s cap-and-trade bill passed Monday night, it took help from Republicans to get it done, including the East Bay’s Assemblymember Catharine Baker. Baker, the East Bay’s lone Republican state lawmaker, was one of eight to support Assembly Bill 389. The legislation backed fiercely by Brown over the past week, extends the state’s cap-and-trade legislation through to 2030. It was due to expire in 2020. Baker appeared at the celebratory press conference following passage of the bill, a type of event that moribund state Republicans rarely get a chance to revel in. The state’s cap-and-trade legislation has been lauded as a crucial step in helping to protect the environment, but most importantly, say some of its backers, the bill gives other states a roadmap for producing their own strategies. Although highly complex, cap-and-trade allows industries to release greenhouse gases into the environment in exchange for credits purchased from a state-run market. Baker’s switch from her party brethren is not entirely new for the lawmaker who has represented the Tri Valley and areas around Walnut Creek and Concord in Contra Costa County since 2014. Because of the relatively purple shade of the district’s voter registration, Baker in the past has been given some free rein by party bosses to support legislation backed by Democrats. One of the last highly-contentious issues being Baker’s vote in favor of mandatory vaccinations for children. Posted in AD16, Assembly, cap and trade, Catharine Baker, Jerry Brown, Republicans, Tri Valley, vaccinations. Bookmark the permalink. The final paragraph of this article could give the impression that each party's leadership, in other words the leadership of the Democratic Party and also the leadership of the Republican Party, often tell, and in fact order, their individual members in the state legislature on how to vote. However I am sure that is not true, and that it is just a coincidence every single time those phonies, parasites, demagogues, and charlatans in Sacramento engage in one of their straight party line votes. Still furthermore, a high percentage of the Democrats in the state legislature are lawyers, and I am sure that the typical lawyer has far too much intelligence, far too much honesty, and far too much integrity to be nothing but be a stooge and a puppet on a string for whichever Demagoguecrat is the head guy in the state legislature at that particular moment, and similar to that in the US House of Representatives the typical Democrat would insist on being an independent thinker, and not just a stooge and puppet on a string for Nancy Pelosi. Related to the post of 11:32PM. QUESTION: How is a lawyer similar to one individual sperm cell? ANSWER: Each one has one chance in two billion of turning into a human being.